OKOK. Here are a few dresses. 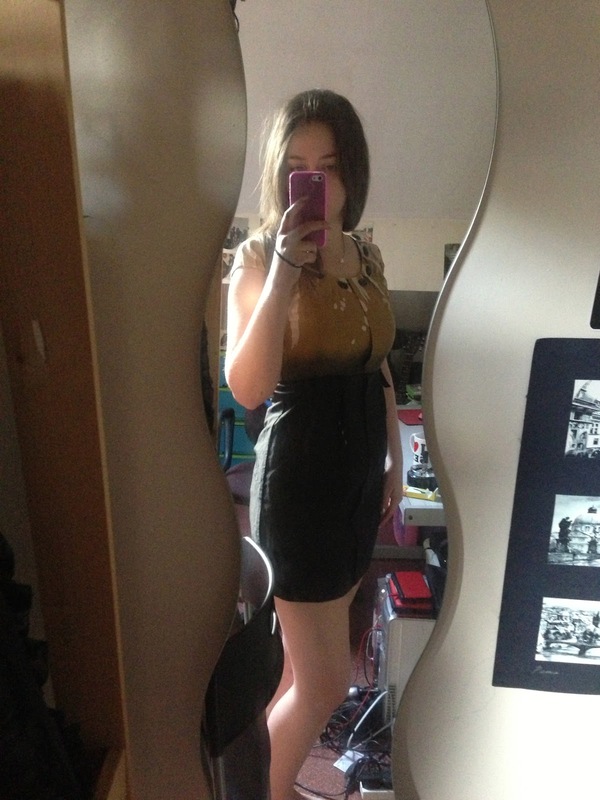 This is one I bought from ASOS last month, I think it was about £15 in the sale, now it’s £8! Go get it girls! I have not had chance to wear it year, weh. Obviously I would wear it with a belt. I really like the back detail on it, it kind of criss crosses (kriss krosses) I DONT KNOW HOW TO SAY THESE WORDS. Here it is on the ASOS model, so you get a better idea! This dress here is one of my favs. I love how it fits me. I bought it about 2 years ago from a shop in Leeds called Butterfly, which was full of wonderful dresses for around £10-£15 but now it is closed down. All the way down. This is terrible news. I was not able to fit into it before, but now I have lost some weight I can wear it again. I wore this for our staff xmas party and it was wonderful. 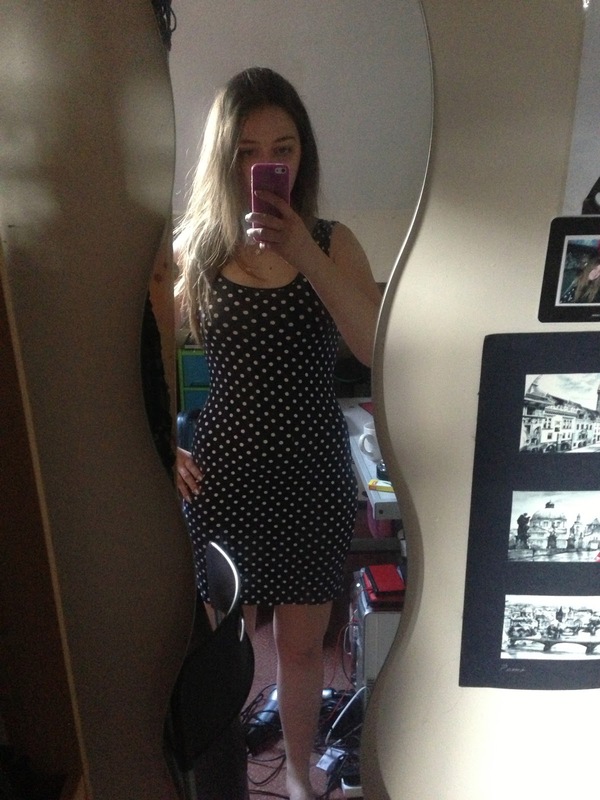 Ok, back to the real point of this blog, the dresses I bought the other day! This one was £19.99 from new look. I loveeee it. I know the pictures of not very good because I have to self take, maybe I should start taking a close up of the fabric. Anyways, it is navy with butterflies on. 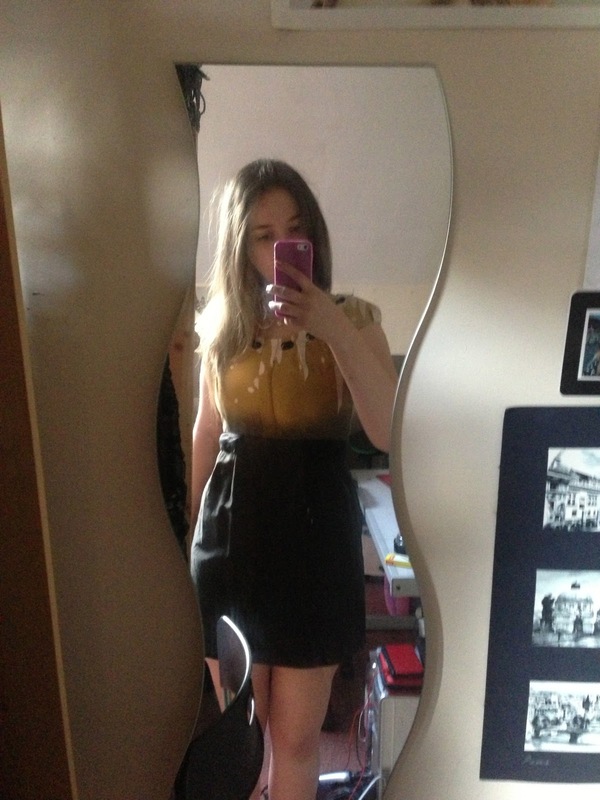 ASOS dresses are here! Yay! How long is your body? Are you scared of what people think? The first dress looks amazing on you, really.